TP-LINK, a global provider of networking products, today announced its latest Facebook contest, ‘What Would You Do with a TP-LINK Mini Pocket Router,’ kicking off March 12, where fans of TP-LINK in the US complete the sentence, “If I had a TP-LINK Mini Pocket Router, I would…” for a chance to win a 150Mbps Wireless N Mini Pocket Router. TP-LINK will randomly select up to 20 winners. All contest participants will receive an exclusive offer for $5 off a 150Mbps Wireless N Mini Pocket Router at Buy.com. 4. OPTIONAL: Invite your friends and post the contest on your wall to increase your chance of winning! The 150Mbps Wireless N Mini Pocket Router (TL-WR700N) can be used to create an instant Wi-Fi hotspot by simply plugging in an Ethernet cable from your existing network or modem. It is a smart solution to efficiently expand your wireless network for the use of Wi-Fi enabled laptops, mobile phones, tablets, game consoles and other entertainment devices. The Mini Pocket Router operates as an access point to create a Wi-Fi hotspot from a wired source. It can also be used as a client adapter, repeater, bridge, or wireless router. The stylish cube design is small enough to fit into your pocket and plugs right into an electrical outlet without the hassle of a power cord. TP-LINK products are available at Fry’s Electronics, Micro Center, B&H and Data Vision. You can also find them online at Newegg.com, Amazon.com, Bestbuy.com, Tigerdirect.com, Walmart.com and Buy.com. 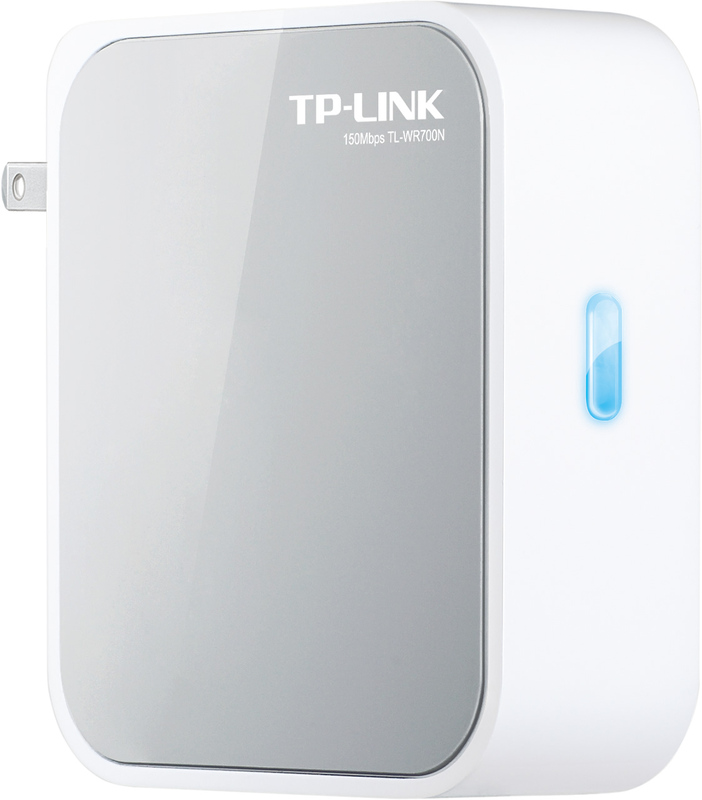 For more details, please visit http://www.tp-link.us/where-to-buy/?categoryid=902. TP-LINK is a global provider of SOHO & SMB networking products and the world’s No. 1 market share leader in WLAN and B\broadband CPE devices, with products available in over 120 countries to tens of millions of customers. Committed to intensive R&D, efficient production and strict quality management, TP-LINK continues to provide award-winning networking products in wireless routers, network adapters, access points, ADSL modem routers, 3G routers, Powerline adapters, switches, IP cameras, print servers and media converters to global end users. Visit us at http://www.tp-link.com/en/.